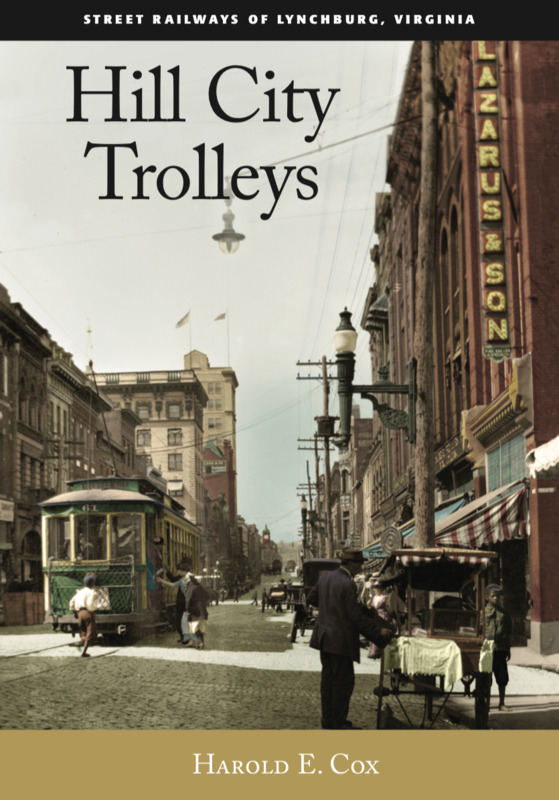 Originally published in 1977, Harold E. Cox’s entertaining and informative Hill City Trolleys remained popular for decades, serving as the go-to reference for professional researchers and history buffs alike. However, the book has been out of print for years, while the need for a revised edition became increasingly apparent. better illustrate routes in relation to their surroundings. And the text has been revised where necessary. In short, Cox’s classic is revamped and ready to delight railfans for another forty years hence! Curated and with essays by Barbara Rothermel, Ph.D. and Ellen Schall Agnew, M.A. 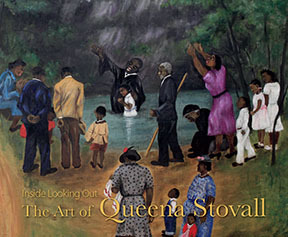 Queena Stovall is best known as a self-taught folk artist who began painting in 1949 at the age of sixty-two, and recorded the everyday farm life of her family and friends where she lived in the country near Lynchburg, Virginia. Although she professed to paint for herself and her family, Stovall’s work garnered attention, respect, support, and critical acclaim from artists, museum professionals, and those in the New York art world. This retrospective exhibition and catalogue examine the artist from dual perspectives, as a self-described “country woman” and as an aspiring professional artist. S. L. Abbot was Lynchburg's outstanding painter of the twentieth century. Well known for his portraits and still lifes, this remarkable artist produced hundreds of paintings and drawings: a unique record of local life from the 1920s to the 1980s. Portraits painted in England, France, Italy, and New Zealand are represented as well. This limited-edition book includes more than than 400 full-color plates and photographs, reproducing every known example of Abbot's work. Or call 434-847-0939 to order. Over a period of thirty years T. Gibson Hobbs, Jr. collected every scrap of information he could find about the James River and Kanawha Canal in Virginia. The Canal on the James is a compilation of his research—the talks he gave, the slides he showed, and the maps on which he meticulously cataloged the works of the canal. Compiled by Nancy Blackwell Marion. Edited by Mary Molyneux Abrams and Thomas G. Ledford. Available in hardback and softback. From the Food Network to the White House, today’s celebrity restaurateurs are lauded for their localism, creating seasonal menus around their own gardens or buying exclusively from nearby farms. But can these twenty-first century culinary visionaries also fix your car, play host to your elephant, and tow your plane out of a ditch? In this charming childhood memoir, author Pee Wee Falwell takes readers directly “to the top,” to the unassuming man seated at the old roll-top desk in Lynchburg, Virginia. 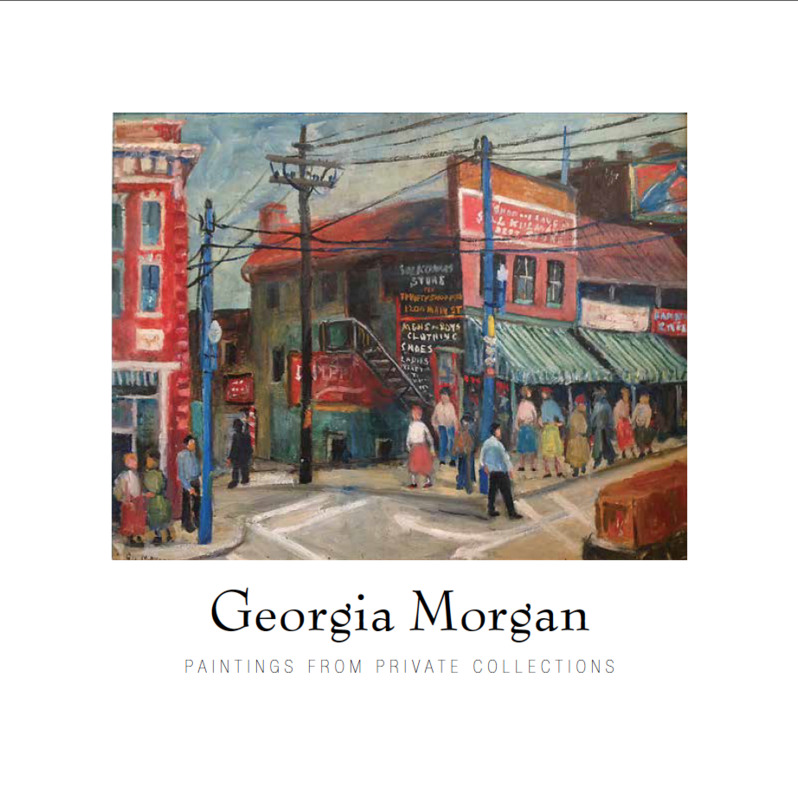 The 2015 catalogue of an exhibit of paintings by Georgia Morgan, a first generation Antiquarian and early artist influenced by other talented women around her. Adored by her students at Lynchburg College, Morgan gained a reputation as a skilled and eccentric painter. Morgan died in 1951, and this exhibit by the Antiquarians, with the generosity of the paintings' owners, once again displays her beautiful works. Recorded by Marietta Crichlow, this book chronicles stories of some Glovers, Garlands, Stevens, Crichlows and others....beginning before the Civil War and tied to Nelson, Amherst, and Appomattox Counties, and Lynchburg, Virginia; and continuing in the 20th century to Duquesne, Pennsylvania, and Washington, DC—notably LeDroit Park and Petworth. Marietta and family are descended from people who were enslaved by Wilmer McLean at Appomattox Court House. It was in Wilmer McLean’s home that Robert E. Lee surrendered to Ullysses S. Grant in 1865. Our ancestors were there. The stories herein tell some of the trails the family took over the ensuing years. 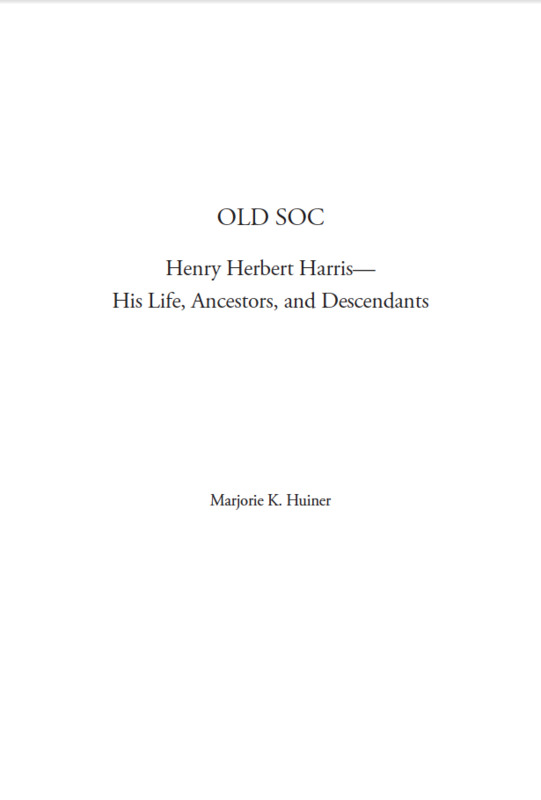 The story of a legendary professor and leader among Virginia Baptists, Henry Herbert Harris was born, lived, and died in the 1800s in the heart of Virginia with ancestral roots going back to the antebellum period in Louisa County. What began as a project to sustain the Town of Amherst’s centennial celebration has turned into a book. The original idea was to produce a story every two weeks for publication in the town’s weekly newspaper. In the course of their research, the authors discovered a number of stories they had never heard. They uncovered curious tidbits that had to be part of the history. They found interesting photographs that illustrate the stories and give them life. The book contains more than 200 photos. about the people and places in the vicinity of Elon, Virginia and showcases more than 500 photos collected from albums and attics. Lynchburg 100, An Illustrated Guide to Lynchburg Landmarks, is meant for both residents and visitors. Many landmarks will be familiar to residents, but some will not, as they are "off the beaten track," both figuratively and literally. For visitors, Lynchburg 100 will serve as an introduction to the best Lynchburg has to offer, and will whet their appetites to see and learn more about this historic Virginia city on the James. 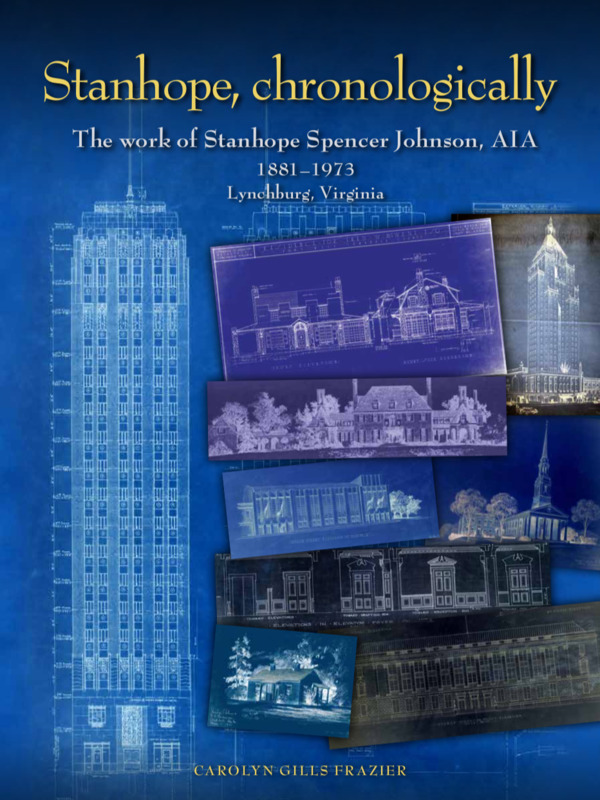 In his text, architectural historian S. Allen Chambers, Jr., provides succinct descriptions and proper historical perspective for each Lynchburg landmark. In her illustrations, Nancy Marion captures the essence of each of her 100 subjects, all of which are lovingly and elegantly photographed. Two fold-out maps assist in locating the sites. Established 250 years ago, the Central Virginia community of Madison Heights soon felt the stigma of the second-class status imposed on it by Lynchburg, the city across the James River. Resentful but undaunted by the scorn of being called “Hogtown,” her people flourished from the strength they found in family and communal relationships. After reaching her zenith in the mid-twentieth century, the aging community now faces a new struggle from changes that threaten her continued existence. Hogtown both celebrates the community’s past and suggests that future revitalization is possible through a return to the values that once defined it. Charles Stinson, a native of Madison Heights, is well qualified to guide us through the town where he spent the first 45 years of his life. A student of Virginia history, he is a retired Baptist minister who now lives in Forest, Virginia. Abram Frederick Biggers was the first superintendent of public schools in the City of Lynchburg, Virginia. In the brief period of his leadership of eight years (1870–1878), fighting against prejudice and opposition for a greater part of the time, he established the schools and brought them to a flourishing condition. The Lynchburg schools were considered as second to none in the state. This book gives the insight to the life and times of Mr. Biggers and to the school that was named in his honor.